Searching for Custom Pump & Sprinkler Systems Near Delta, CO? 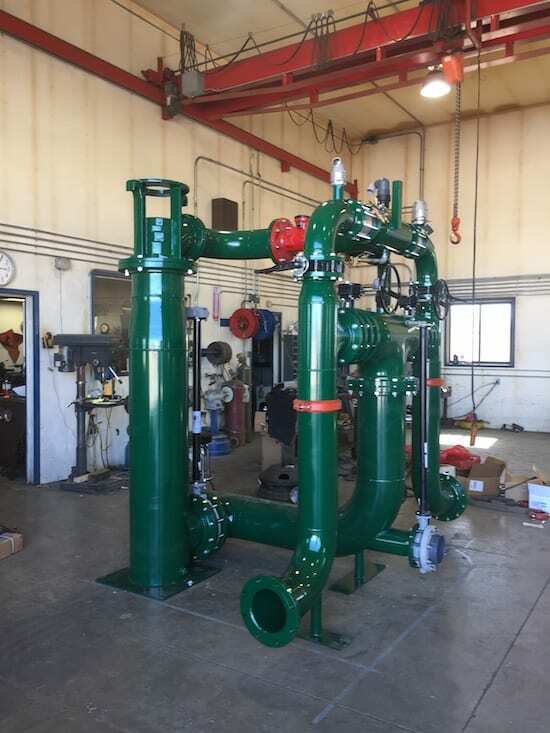 One of our specialties at Evergreen Pump is the custom design and configuration of pump stations that are specially developed to meet all of your requirements and exceed your expectations. Even when the exact parts or pumping equipment doesn’t exist, Evergreen Pump has the expertise and capability to fabricate parts and related equipment when the project calls for it. We’re familiar with a wide range of industries, and we’ve worked extensively with agricultural and mining enterprises, so we’re accustomed to engineering and installing systems that are critical to the success of your jobsite. If you’re running an operation that utilizes an existing pump or sprinkler system that might require some modification to accommodate your changing needs, Evergreen Pump can offer proven consulting expertise backed by over 30 years of experience. Our technicians specialize in rural agriculture and single phase conversion variable speed drives. We can even manufacture systems complete with pumps and piping to hook up to your present system. If you would like us to install the system, we can make arrangements to visit your location and provide a streamlined installation process. If you have any questions regarding our products or the services we can provide to your enterprise, please contact us at 970-874-1444 today. Evergreen Pump is a pump system manufacturing company offering custom pumps & sprinklers, pipe welding, irrigation consulting, and more for agricultural and mining industries across Delta, Montrose, Grand Junction, Aspen, Durango, Telluride, Steamboat Springs, and the surrounding Western Slope region.